Liberals are angry, conservatives are angry. When it comes to the Libya non-war, war, there’s a lot of “coulda-woulda-shoulda” going around, which is particularly easy to throw out there when you’re not the ones who are accountable and don’t have a lot of specific answers of your own. Is there merit to arguments from both sides of the aisle, that Congress wasn’t consulted enough? Yes. It’s not constitutionally necessary, but it would have been smarter, politically. Is there merit to criticisms that we don’t have an end game? People should certainly be asking questions. And now comes the observation from folks like Peter Beinart who writes in the Daily Beast that this Libyan affair is evidence that the United States is a fallen empire and that America doesn’t matter anymore. We should have done nothing? Muammar Gaddafi’s brutal dictatorship, using mercenaries no doubt paid with the $6 billion in gold he’s sitting on, was about 24 hours away from invading the eastern Libyan city of Benghazi. He vowed no mercy. Is it that much of a stretch to think that if there had not been military intervention, there could have been a massacre of tens of thousands of both rebels and innocent civilians? And absent a military response and the subsequent results, what would the critics be saying today? That we were feckless and stood by and dawdled while innocent blood was shed? We should have acted sooner? What, on our own? While we’re fighting two wars and our military is stretched so thin our own Defense Secretary, Robert Gates, initially wanted no part of it? Unilateral American action would have been difficult logistically and to go in alone in now a third Muslim nation would not have been helpful to our standing in the region. Or we should have organized the coalition sooner? There are 22 countries involved in this Libyan military operation. It takes time to sort out the details. Well, you should worry because I don’t think anyone has a specific end game in mind. The immediate, urgent point was to save Benghazi. Now it appears the mission has expanded into the imposition of a no-fly, no-drive zone over the entire country. Most analysts doubt Ghaddafi can be ousted without land forces and no one thinks that’s going to happen anytime soon. So here’s your end-game: West Libya and East Libya with Gaddafi running the west and the rebels running the east. America is a fallen empire? Part of the case is based on the fact France is beginning to take the lead on this operation. Well…why shouldn’t they? European nations have their own stake in Libya and it’s not just for humanitarian reasons. Italy, France and Spain, for example, imported 22%, 16% and 13% of their oil from Libya in 2010. They have regional and economic motivations for a stable Libya. That doesn’t mean the U.S. has relinquished its role as a world leader. In fact, this mission couldn’t have gotten started without the U.S. and it’s AWACS planes coordinating air assaults, and about a hundred Tomahawk cruise missiles taking out radar and anti-aircraft assets (at $750,000 per cruise missile, by the way). You want to talk about a country that’s no longer an empire? 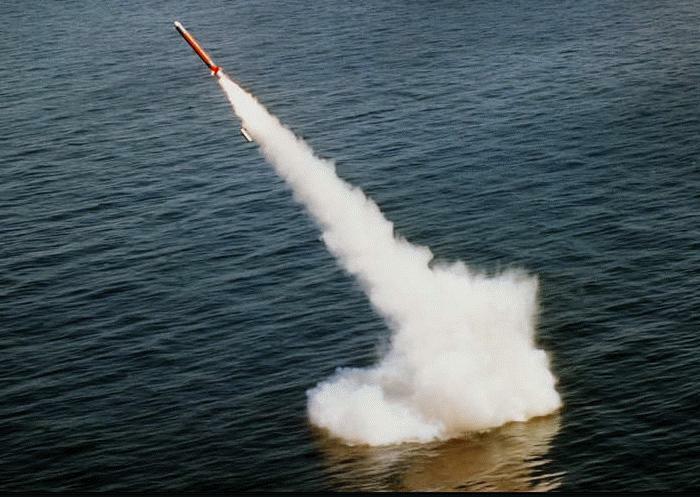 I read on an English website that the Brits used one-fourth of their entire Tomahawk arsenal in three days against Libya…all from just one submarine. Not to worry, say the Brits, the Americans can lend us more if we run out. Well, maybe we’re not an empire anymore. But we sure still seem to be the world’s Sugar Daddy.